MasterCard Reports 700,000 Merchants Worldwide Accepting PayPass | NFC Times – Near Field Communication and all contactless technology. MasterCard Worldwide said there were 700,000 merchant locations accepting its PayPass contactless technology at the end of 2012. Merchant locations accepting PayPass cards and applications on mobile devices stood at nearly 700,000 globally at the end of 2012, MasterCard Worldwide announced this week. That is up from almost 550,000 contactless merchant locations worldwide supporting PayPass that MasterCard said were operational at the end of the third quarter of 2012 and about 500,000 PayPass locations at the end of the second quarter of 2012. 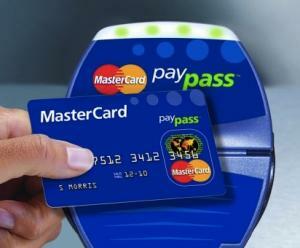 MasterCard said there were 311,000 PayPass locations at the end of the first quarter of 2011. Almost 40% of the global PayPass locations at the end of 2012 were in Europe, or more than 255,000. Most of the remainder are in the United States, Canada and Australia, along with a few contactless hotspots in Asia. Article has about 970 words.